The song is the show. 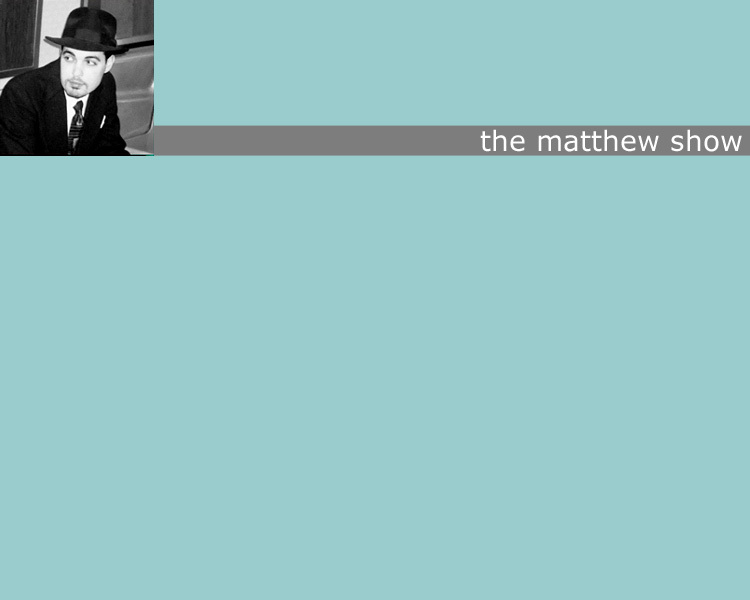 the matthew show covers Phil Collins (The Roof Is Leaking, from his first solo album) and includes some found tape of a band (in the distance) covering the Sweet's Little Willy (or maybe it's the original--it's just too hard to tell). Needless to say, matthew (he prefers to avoid his last name) has some interesting tastes in pop music, and this album tries to fit as many of them in as possible. A sometimes frightening emotional roller coaster. Quite the rush.